You’ll get a product that is created to be viewed with smartphones and tablets. When nearly 1/2 of all internet traffic is viewed with mobile devices, use us to ensure your visitors stay on your site. Tired of traditional media with poor results? Generate website traffic and increase sales with our highly effective asset development packages. Turn visitors to customers with a professional custom package. The Complete Webdesigner will power your online presence to the top. 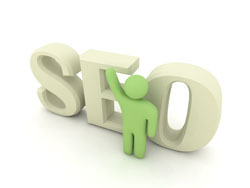 Search Engine Optimization is more than just your website. We cover your entire internet presence by ensuring your reputation is 5 stars.